We wait all year long to this time of the year when we get to start picking our favorite vegetables from the backyard. We put lot of effort in spring to get the backyard ready. Each and every person in our house including my little one helps in sowing the seeds and keeping up with the maintenance of the garden. We went on a 2 week vacation and the only thing on each and everyone’s mind was the garden. We had the sprinkler watering the garden, but still had few areas that was outside the reach of the sprinkler. When we came back in the middle of the night, we all had our flashlights out and went to check on the garden. Yes, at 2 AM we all were in the backyard. The garden had grown so much and we could not wait for the next day to go out and pick some fresh vegetables. We were amazed to see that we had so much of beans and every one of them were tender. We picked almost 2 pounds of fresh beans and the first thing I wanted to make was one of my ever favorite Beans Curry | Beans Poriyal with Coconut. 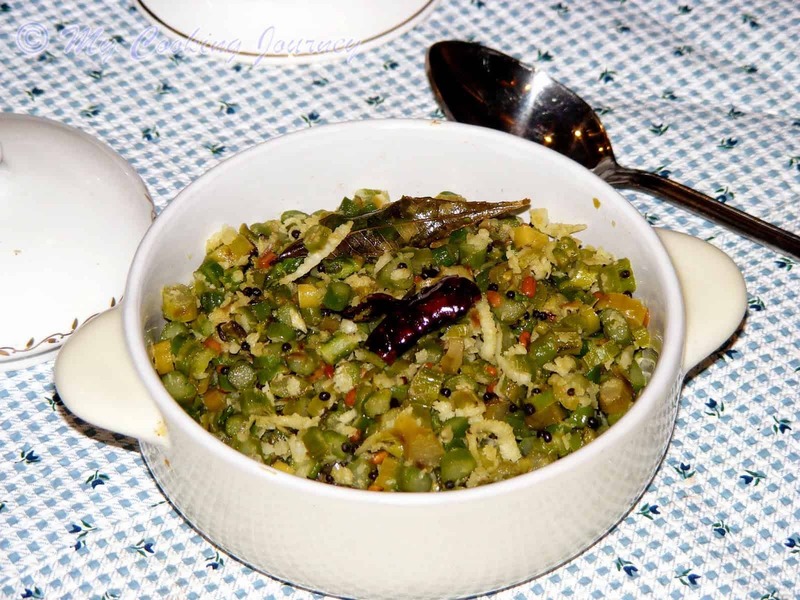 The boys were so excited to eat the Vathal kuzhambu with fresh juicy Beans Curry | Beans Poriyal with Coconut. My little one had already asked me that I make nothing else but Vathal kuzhambu they day we reach back home. This is what 2 weeks of road trip does to our taste buds! Beans curry was something that I could never make it right! Now why is that? I either cook the beans too much…or I don’t cook it much. For the past few times I have cooked it, I made sure I was right next to the stove and it cooked perfectly. Now I could proudly say I perfected the beans curry. Every time I make something like this, I say that my mother cooks this best. 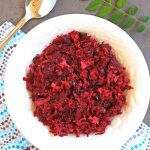 But this time, I have to say my maternal grandmother makes this best. 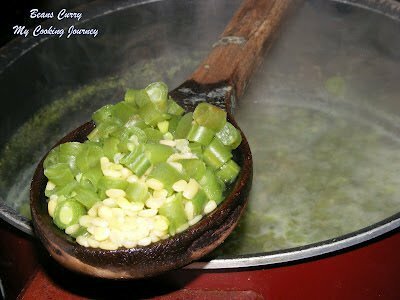 Her curry is always cooked perfect and it never loses its bright green color. It is always such a refreshing sight to see and eat this curry at my Patti’s place. This week my theme for Blogging Marathon is redoing old post. 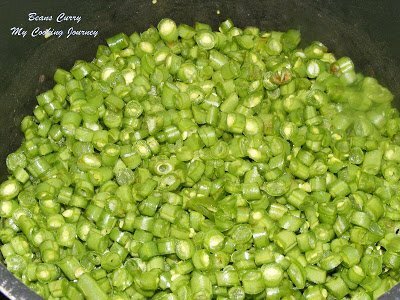 I wanted to update my old post with the fresh green beans that we picked from our garden. I love the redo old posts theme as this way I am able to give all my old posts some fresh look and also update them. Clean the beans and cut into tiny pieces. 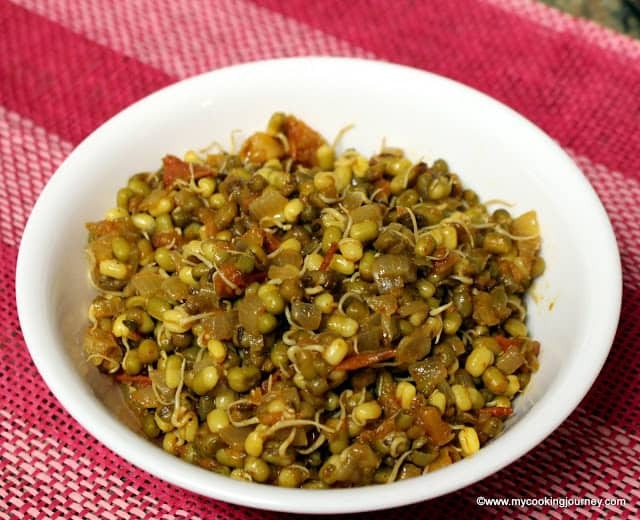 In a pot, add the beans, moong dal and add enough water to cover it and let it come to boil. 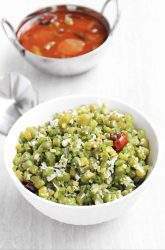 Let the beans and the moong dal cook ¾ th ways and at this point generously add salt to the boiling water. Make sure that you add the salt only after the beans is cooked 3/4th. Otherwise, you will end up with uncooked beans. 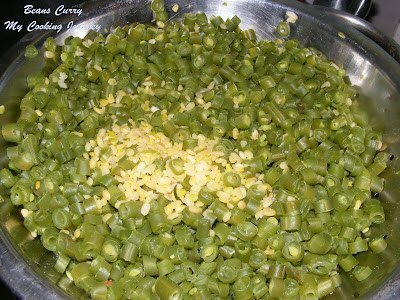 Also make sure that you don’t let it cook all the way because then we would end up with mushy beans and dal. 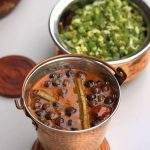 Once you add the salt, let it boil for couple of minutes so the beans and the dal absorb the salt. Drain it in a colander. In the same pot, add the oil. 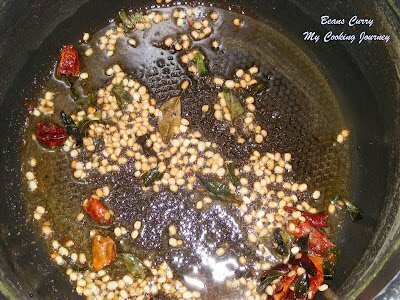 Once the oil is heated add the seasonings (mustard seeds, urad dal, red chilies, asafetida and the curry leaves. Once they splutter, add the drained beans and mix it well. Add the sugar and let it cook for 3-4 mins or until all the water evaporates and the beans look dry. Now add the grated coconut and mix it well. 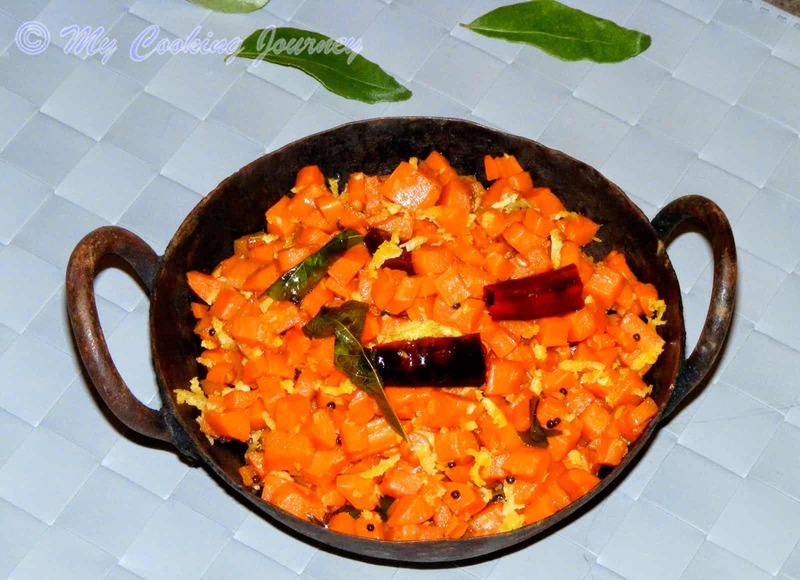 Take it off the flame and serve with rice and sambhar or rasam. 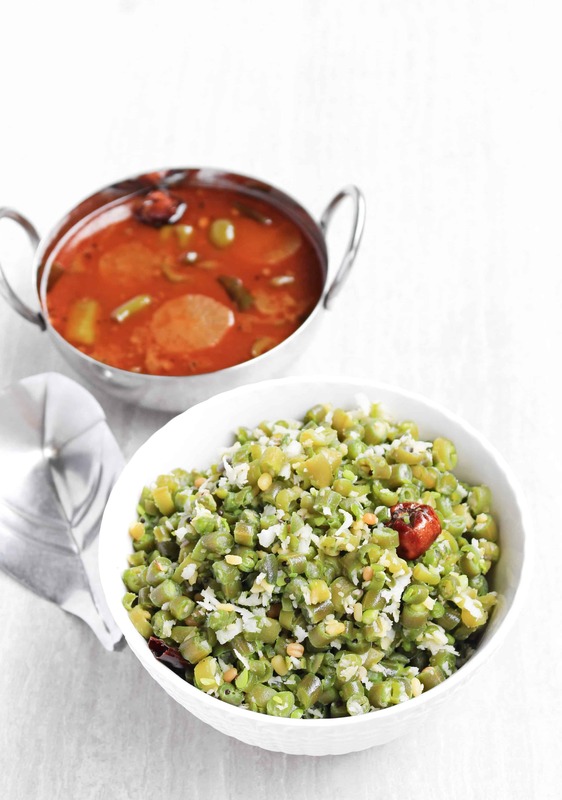 I personally love it with curd rice too:). Thanks for dropping by my site.. I have always liked home cooked meals. And this one is perfect. Healthy and easy to prepare. 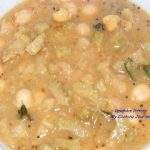 my neighbor just gave me some curried beans from her garden- delicious- so I decided to check out some recipes to see how they might have been cooked… maybe I will try this myself some time. 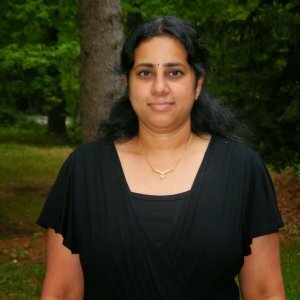 Really appreciate your blog- the photos are beautiful on the black background and it has given me some new ideas…onion chutney… definitely have to try that sometime. Thank you so much for your comments. please do continue to follow my site. You could get latest updates from me, once you join as a member or you could follow me on Facebook. really appreciate your inputs and keep them coming. 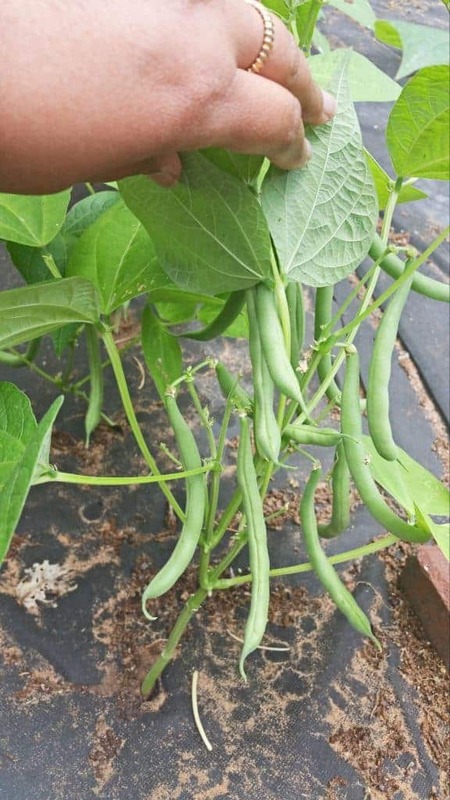 Wow Sandhya, your garden fresh beans look amazing, so tender and pretty looking ones..checking them out at 2 am shows your love, so the plants must be really happy!..I love beans poriyal and can have it any way.. 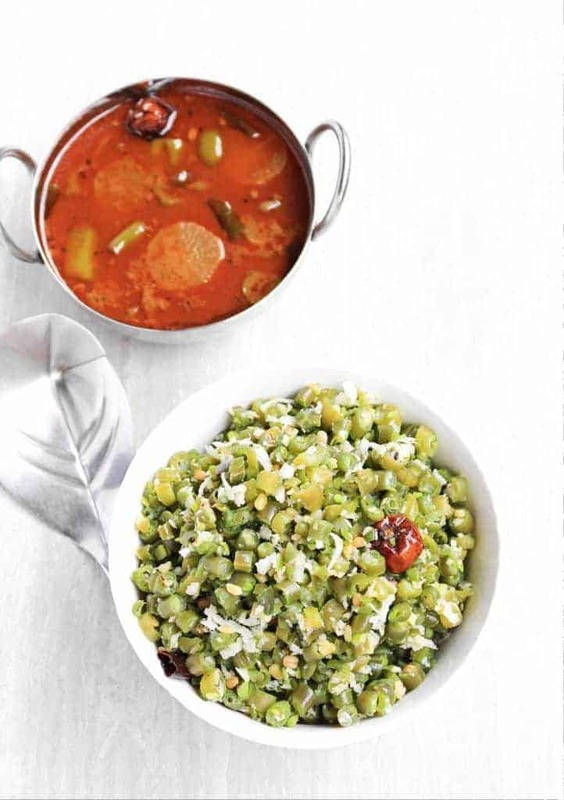 I can understand your excitement.The beans poriyal looks so so delicious and perfect with vathakuzhambhu.It must have tasted divine. I remember bookmarking and making this from your space. It was delicious and we all loved it. 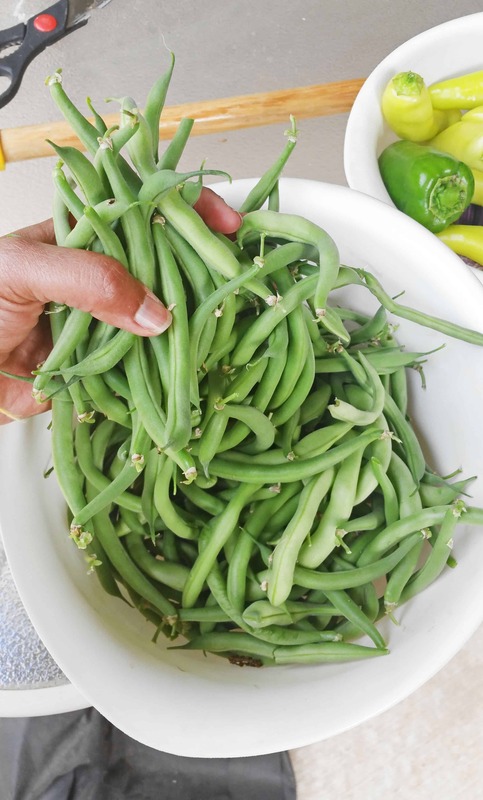 Your new pictures with fresh garden grown beans are nice. I grew up with a huge garden which my grandfather would look after. he would grow so many different types of vegetables and it was fun picking them when they were ready. Now I live in an apartment with salty water in the taps and even the tulsi plant doesn’t survive so forget about planting anything in pots. 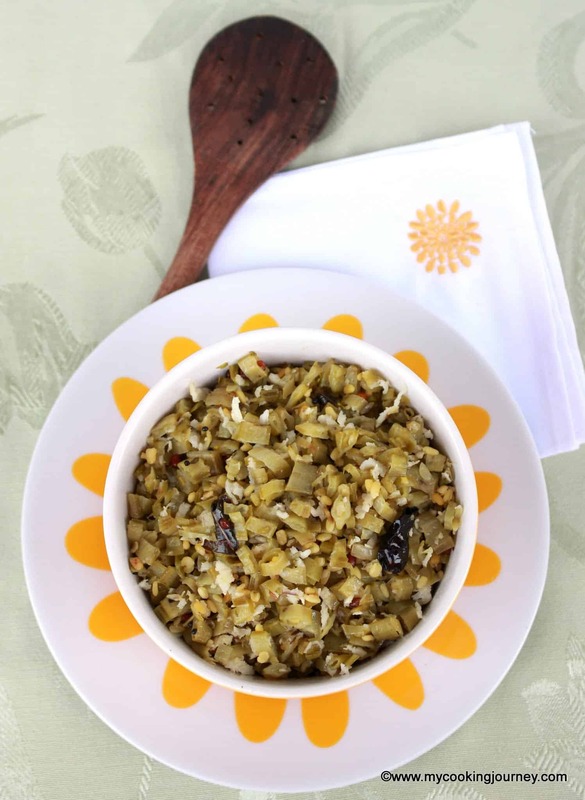 I love how you’ve made the beans with coconut, looks so delicious. Wow loved your harvest. It so good to have your food from your own garden. Beans looks so delicious. OMG! I cannot resist the fresh garden vegetables. I can understand you guys in the garden at 2 AM. The poriyal is the best! I have some pots and we call it the garden, lol! I am amazed at your enthusiasm in maintaining the garden and love love those fresh beans. What a great feeling to cook from fresh produce. 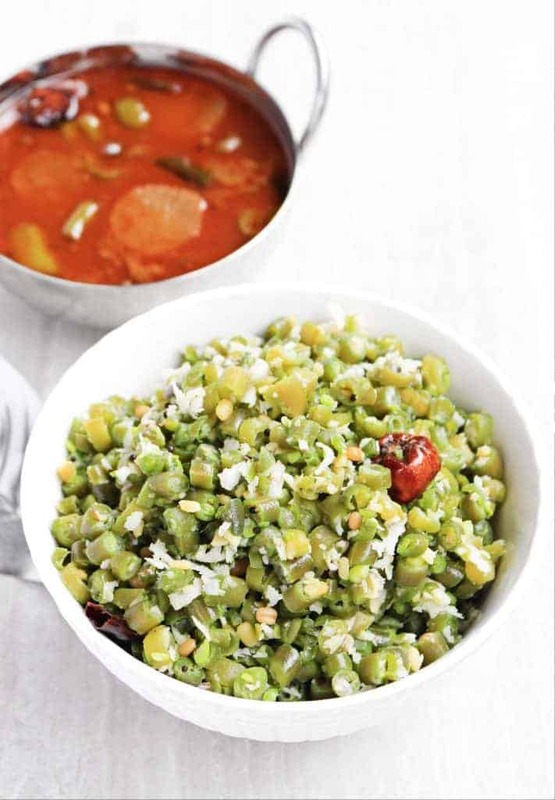 The poriyal is one of our fav recipes and I make it often..
Omg, what a fabulous gardener you are, simply love those super fresh french beans. Seriously you are blessed to cook with fresh produce from your own garden Sandhya, and this poriyal is everyone’s favourite at home. I can feel your worry as well as excitement about your kitchen garden. When i was kid, my mom used to grow vegetables in pots. 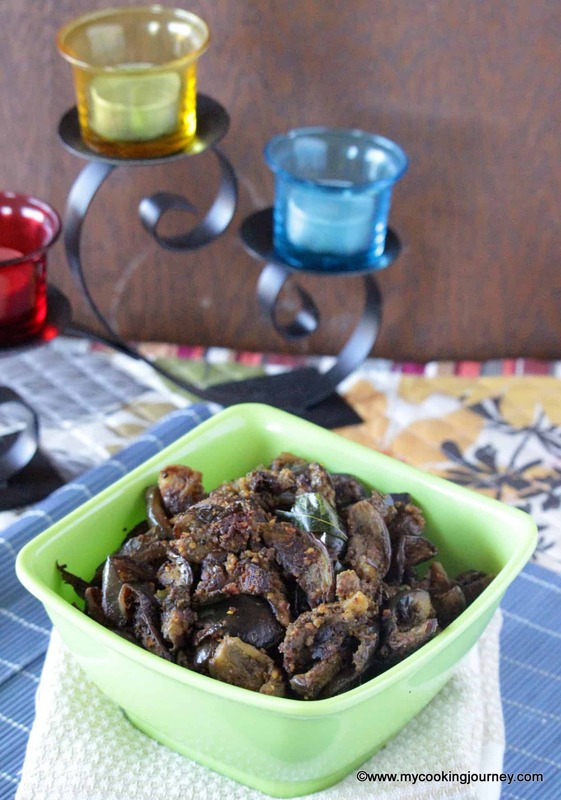 Whenever a single brinjal or turai etc used to grow, we had the same excitement as is yours. 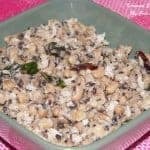 This bean curry with coconut is something I have never tried. Bookmarking. 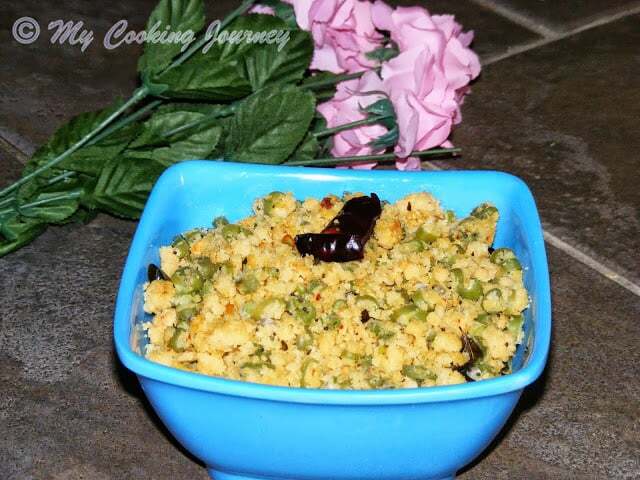 I am yet to try this beans poriyal and your recipe looks just perfect to try it soon. It’s so nice to use your own home grown veggies. Looks so tasty and simple recipe.